Here's an update on the light box. 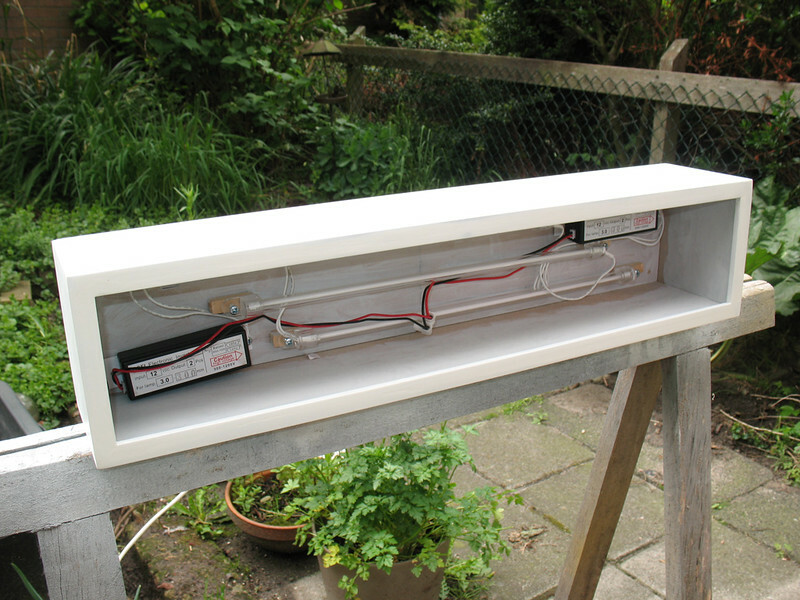 I have started painting the box and all the electronics and CCFL tubes are test fitted with screws in place. There are two transformers that convert 12 volts to 300 volts. Everything fits nicely in the box. Wires from teh converter join to a wire block, from there a wire runs out of of the box to a 12 volt adapter. Once painting is done all I need is two sheets of clear acryllic glass and a photo print.